This character can be spotted wandering or stumblin' around the point with paint brushes and canvas. He is friendly when he is not painting but if disturbed while working he becomes quite frightning. Boo! 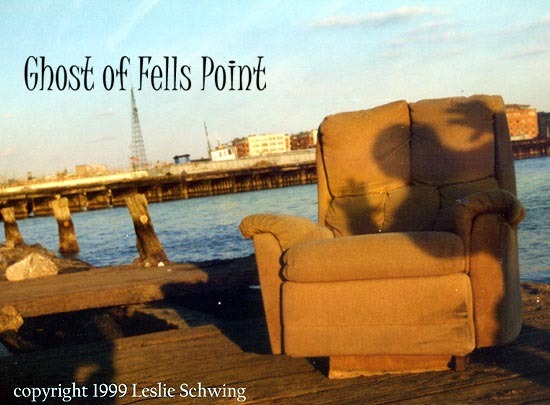 This chair on the old Philpot pier is a favorite among Fells Point fishermen...hmm guess they must have seen a ghost.